For a knowledgeable and experienced family law attorney located in South Tampa, Florida, Attorney Nilo J. Sanchez Jr.. has 20 years of experience assisting family law clients with their unique family law legal matters. In order to prevail in a modification action, the person seeking the modification must prove that a substantial change in circumstances has occurred since the judgment was entered. The change in circumstances must be permanent, involuntary, unanticipated material. If the Supplemental Petition for Modification is granted, the increase in child support or alimony could be awarded retroactively to the date the Supplemental Petition for Modification is filed. To obtain an evaluation of your case in regards to a modification of child support and or alimony, please contact Tampa Divorce Attorney and Family Law Lawyer Nilo J. Sanchez Jr. at 813 879 4600. Family Law judgments can be modified depending upon whether the nature of the award in the judgment. Child support and alimony awards are subject to modifications as well as time-sharing and custody. To obtain a modification of child support or alimony in a Final Judgment, the person seeking the modification is required to file a Supplemental Petition for Modification. This Supplemental Petition is required to be served upon the opposing party. Child Custody Attorney NIlo Sanchez located in Tampa understands that child custody cases and other family law issues can often be very emotional and complex. Hiring a child custody attorney in Tampa to ensure that timesharing, visitation, child custody and child support are handled aggressively is important. Attorney Sanchez has many years of experience in handling child custody cases in the Tampa bay area, therefore, you can be assured that you are hiring a seasoned attorney who is experienced in this particular area. We will do all that we can to ensure that you are receiving the best assistance for your child custody case. If you need an experienced divorce or family law attorney in Tampa who will handle your child custody case, NIlo Sanchez and Associates, P.A. located in Tampa Bay has the extensive experience you need. We know that your family is important to you and you deserve to be represented by a Child Custody Attorney in Tampa who can litigate matters such as establishing paternity, timesharing and visitation, child support, modification of divorce orders including the relocation of the children as well as paternity and other family law matters. 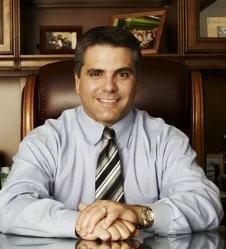 Nilo Sanchez & Associates is a divorce attorney located in Tampa Florida. who will provide resolutions that are in the best interest of all parties involved. Entering the divorce process often times is emotional as well as a difficult time in a person’s life. A divorce is the dissolution of a unique relationship that was once created. The dissolving of this unique relationship is further complicated when the financial realities are faced and confronted. It is a given that couples can live typically more financially secure under one roof than what can be achieved by being in separate residences. Often times one spouse is dependent upon the other for financial assistance. The spouse requiring assistance may seek a form of alimony from the other spouse. Alimony is based upon the years of marriage, the need of one spouse, the ability of the other spouse and is in consideration of the standard of living enjoyed during the course of the marriage. Hiring a divorce lawyer in Tampa who is experienced in areas of alimony can help you through this difficult transition. For purposes of determining alimony, there is a rebuttable presumption that a short-term marriage is a marriage having a duration of less than 7 years, a moderate-term marriage is a marriage having a duration of greater than 7 years but less than 17 years, and long-term marriage is a marriage having a duration of 17 years or greater. The length of a marriage is the period of time from the date of marriage until the date of filing for divorce. Under Florida law, the court can order alimony. Three types of alimony are common. Bridge-the-gap-alimony, rehabilitative alimony, durational, permanent alimony or any combination of these forms of alimony. Bridge-the-gap alimony is to assist one spouse in making the transition from being married to being single. Bridge-the-gap alimony may not exceed 2 years. Bridge-the-gap alimony terminates upon the death of either party or upon the remarriage of the party receiving alimony. An award of bridge-the-gap alimony is not modifiable in amount or duration. It is wise to seek an experienced Top AVVO Rated divorce lawyer in Tampa who can assist you with your alimony case. To assist you in determining whether alimony is a potential in your divorce case, contact our office to discuss your case in greater detail. With approximately 20 years as Attorney Nilo J. Sanchez you can be confident that you’re hiring an experienced Tampa divorce attorney with extensive knowledge of alimony, child support, custody and timesharing litigation experience. When you decide to consult with a Tampa divorce lawyer, it is important that you come prepared to ask and answer questions that are pertinent to your divorce case. Every case is unique and your Tampa family law attorney should be able to answer any questions you may have. Here are a few questions that you should ask before hiring a Divorce lawyer in Tampa. 1.) How long have you been practicing family law? Nilo J Sanchez & Associates has been practicing family law in Tampa Bay for 20 years and has litigated divorce cases in the 13th and 6th Judicial courts, serving clients in Tampa Bay, St. Petersburg / Clearwater area and in Pasco County, Florida. 2.) Do You Specialize in Representing Both Men and Women? for your family as a whole. understand how these fees are calculated and how hours and costs will be billed. 5.) How Many Divorce Cases Have You Handled? 6.) How Long Will My Case Take to Finalize? 7.) How Will You Communicate With Me? 8.) Will You be Able to Determine the Outcome of my Case? 9.) Do You Have Experience With High Net Worth Divorces? negotiate high net worth divorces which can be much more complicated. It is important to hire a divorce lawyer in Tampa, Florida that you are personally comfortable with, experience and longevity in family law in Florida. For a consultation or to obtain more information about our Tampa Florida family law firm, please call (813) 879-4600 or visit http://www.divorcelawyer-tampa.com or http://divorce-lawyer-tampa.net. Tampa Divorce Attorney Nilo J. Sanchez, Jr. has been practicing Family Law for approximately 20 years in the Tampa Bay and surrounding areas. If you or someone you know is in need of a Florida Family Law Attorney, please do not hesitate to contact our office to schedule a consultation with an experienced family law lawyer at 813-879-4600. Mr. Sanchez has the experience and knowledge necessary to handle the most complex family law cases. We understand that it is a very difficult and emotional time for everyone involved. When minor children are present in divorce cases, the court is required to determine the type of parental responsibility that shall apply. The court can order the parties to have shared parental responsibility, which means that the parents shall have an equal say in major matters pertaining to the children such as educational, medical, religion and other significant matters pertaining to the children. Our Tampa Family Law firm will assist you in obtaining results that are in the best interest of your family with regards to time-sharing and custody matters. Our family law office handles Divorce cases (contested and uncontested), Paternity matters, Child Custody, Child Support, High Asset Net Worth cases, Parental Relocation, Alimony, Equitable Distribution and Mediation. Our firm represents client in Hillsborough, Pasco and Pinellas Counties, including Wesley Chapel, Lutz, Carrollwood, Brandon, Apollo Beach and Temple Terrace. Important decisions are made when going through the process of divorce, modification, alimony, relocation, enforcement, child custody, child support and other family law matters. These decisions affect all participants who are going through this difficult and emotional time. If you are contemplating divorce or any other family law matter, it is important that you speak with a skilled and experienced family law attorney who has the knowledge to give you vital information in order to obtain favorable results. Tampa Family Law Attorney Nilo Sanchez has been representing clients in Hillsborough, Pasco and Pinellas counties for approximately 20 years. For further information, please call our office at 813-879-4600 to schedule a consultation to discuss your individualized family law matters.